"Following a crackdown by UK Police on people using mobile phones while driving, almost 8,000 drivers have been revealed as being utterly, utterly stupid. 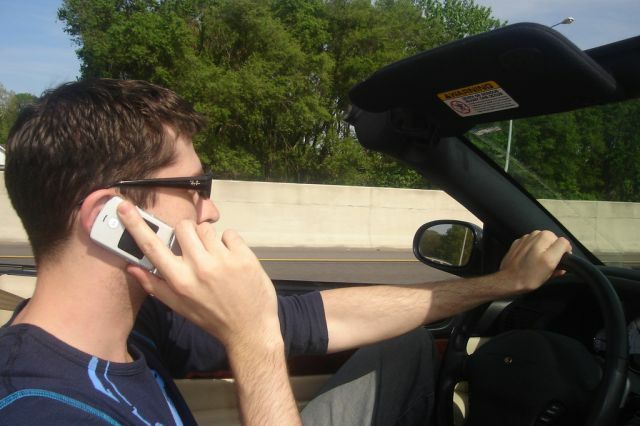 The drivers, a large proportion of which had gormless expressions and looked like the kind of people you wouldn't want to talk to anyway, persisted in using their phones while driving, oblivious to the fact that other people, like the police, for example, could totally, like, see them doing it. 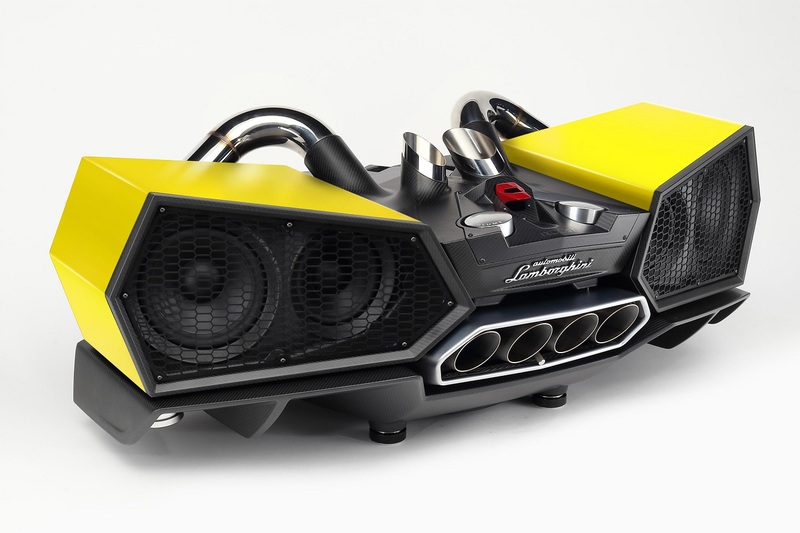 Lamborghini-badged iXOOST speaker system achieves new levels of crassness. You can now buy something that looks like Johnny Five got crazy one night and procreated in union with a '90s Panasonic boom-box. The iXOOST ESAVOX sound system is the overwhelmingly vulgar creation of Matteo Panini's company, which apparently took two years to get the design to this unfathomably garish production state. Fortunately, those of limited means will be spared the temptation to befoul their homes with an ESAVOX of their own, because it costs twenty thousand Euros. Still tempted? You really should have a word with yourself. Still, there's more info after the Jump just for larks. MCW Metroliner. A coach-ride into history. Here's another example of a brochure that has outlived 99% of the vehicles it set out to promote. Once upon a time, when Britain was an industrial nation, it had TWO manufacturers of double-deck luxury coaches. There was Plaxton's of Scarborough, and MCW of Birmingham. 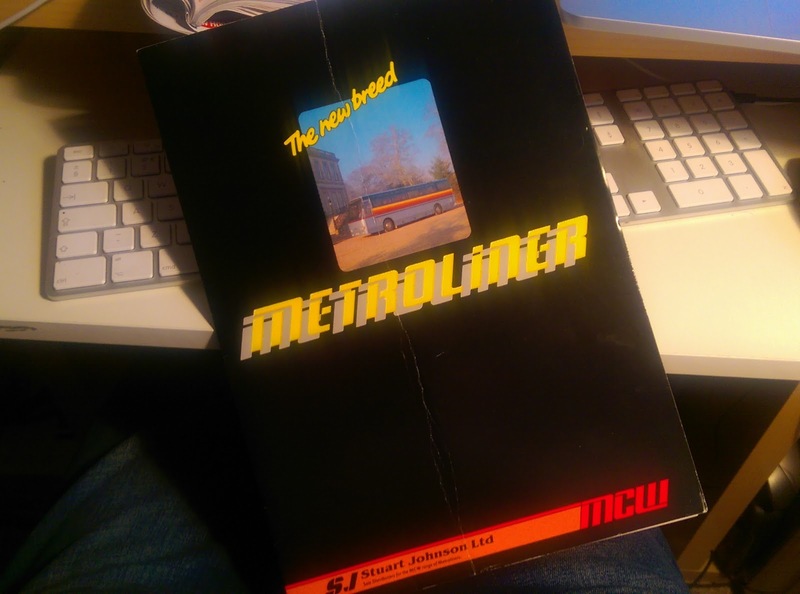 The latter built the Metroliner range of single and double-decker coaches. Never seen one? Nah, chances are that you won't. Those that weren't converted into open-top sightseeing buses in London will have long dissolved by now. Drop me a line if you've got one parked outside right now. I was idly ploughing through the thick soup of SLR drainings that I call my 'dump' file when I chanced upon this rather handsome Honda - which I tragically took too few shots of to make into a proper feature. But isn't it lovely? It then occurred to me - I'm pretty sure there's never been an unattractive Honda Accord; not in the UK, anyway. The three-door first generation car shown above has a rakish coupe attitude; having miraculously escaped looking like the over-inflated Civic that it really is. The next generation was basically Cortina-shaped, but had a certain razor-edged charm that made it look technical and interesting. Then came the wedge shaped late eighties version; all low bonnet line and swept-back headlights. Though I'm jealous that we didn't get it with pop-up headlights. Hands up if you remember the Lonsdale YD41 and YD45. Yeah? Really? You total liar. 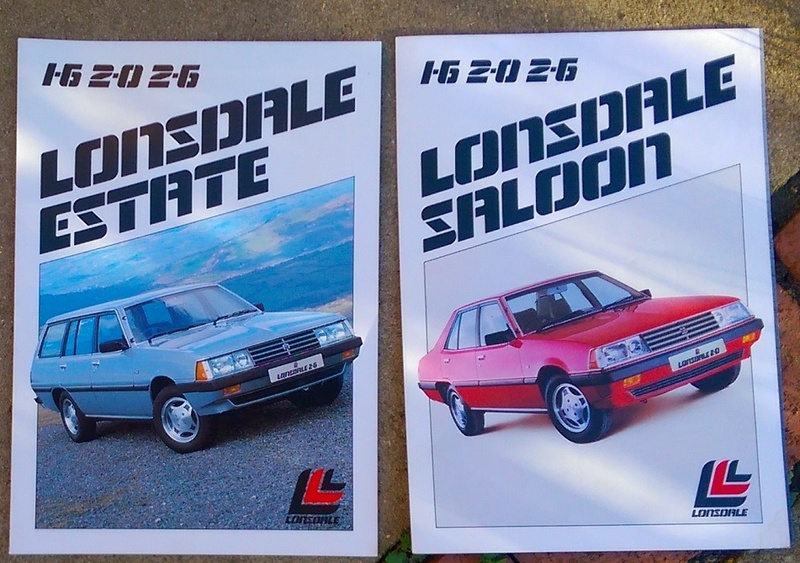 The Lonsdale range of re-badged Australian-built Mitsubishi Galants Sigmas was only ever sold in the UK, and then only for thirteen months. It's right up there with the SAO Penza in terms of rarity, and anybody born after 1983 can be fully excused for having been untroubled by the Lonsdale before now. Was it such a bad car? Well, no, not really. Unless you specifically disliked the word 'Lonsdale' and took exception to stylised black and red badges, the Lonsdale was no different to the perfectly OK Sigma it was, er, based on. It's just that there were some pretty sophisticated European rivals by 1982, with advanced technology like 'a hatchback' and 'some aerodynamics'. In short, the Lonsdale was tragically short of a USP. And how much do I want one today? Well, quite much. The depressingly uneven howmanyleft website tells us that there six examples remaining known in the UK. Allowing for a 500% margin of error, that puts the real number between 30 and -24. That's not a huge number. If you've got one stashed away, such is its scarcity it could be worth as much as scrap value, possibly even more. If I've whetted your appetite for worthless Australiana of obscure provenance, pop on over to Hooniverse where I've uploaded the entire brochure. Volkswagen has revealed its move into the sketch market with its latest creation, the cunningly named Arteon. The sketch, named Arteon, takes its name from art, the popular word that describes art, and eon. The sketch, which will be produced in ink, graphite and paper. Possibly charcoal. Its shape brings to mind the swooping outline of a car, making the Arteon a direct rival for sketches of other cars that have existed. Looking at the Arteon in greater detail, the rear wheels have been cut and pasted from the front of the car. The resultant lack of any form of meaningful perspective means that no car could actually exist and look like the Arteon in three dimensions, which may or may not have been intended as a metaphor for the impossible being possible. Whatever, the shading is pretty cool and the artist mostly stayed inside the lines. The Arteon won't go on sale as such, but can be printed off right now. 1,2,3... Is this thing on? If, by any small miracle this blog entry actually publishes, the image above is a reasonably fitting metaphor to describe what's happening. 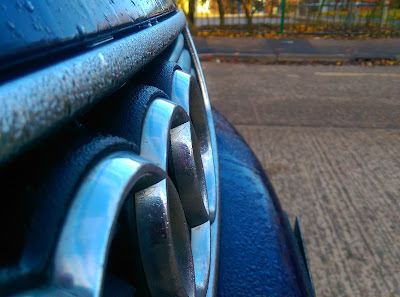 Like RoadworkUK, my Audi is sitting, forlornly with a layer of dust and dew on it, and, like RoadworkUK, today it has been brought back into use again just today after a long period of lying dormant. I'd like to thank spambots all over the world for clogging up my comments section - their poorly disguised links to essay-writing services have actually kept the blog visible to the Googlebots. The long and the short of it is simply, I'm back. Or It's back. Whatever. Many of the upcoming blog entries will likely be extremely rough and ready, being created ad hoc from my mobile phone, such as I'm doing now. Expect to find all kinds of car-related nonsense - mainly of stuff too obscure for me to put on Hooniverse, so stay tuned for future broadcasts on this frequency. It's good to be back. The @RoadworkUK Twitter Channel remains active. You should follow me. I'm more interesting than James Corden.